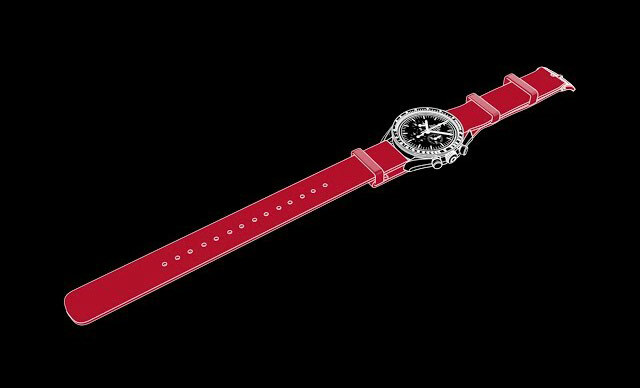 When it was introduced in 2007, the OMEGA De Ville Hour Vision heralded a new era for OMEGA: it introduced the first in-house Co-Axial mechanical movement. The De Ville Co-Axial is a celebration of classic watch design and innovative mechanical watchmaking. "...exactly what a classic mechanical wristwatch for men should be." 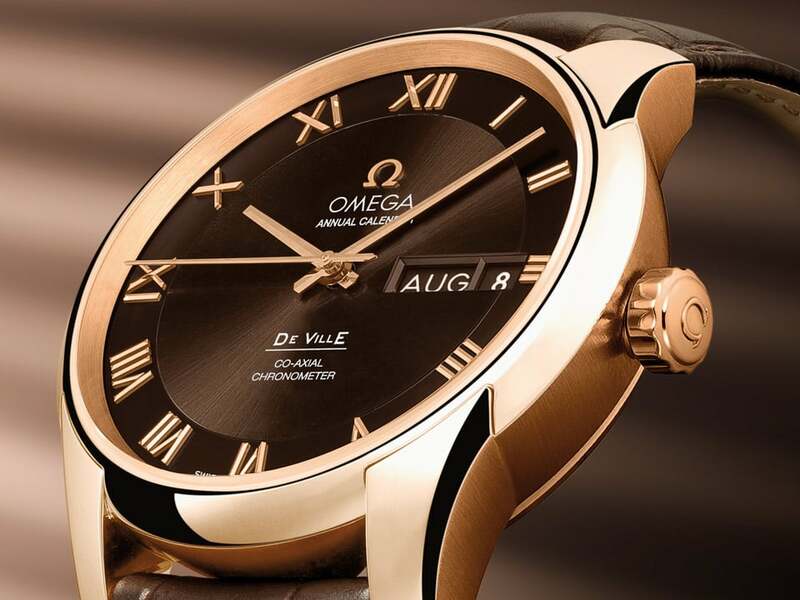 The watches in the OMEGA De Ville Co-Axial collection eloquently express exactly what a classic wristwatch for men should be: a traditional 41 mm case in either 18K red gold or stainless steel, a pure two-zone dial with beautifully executed Roman numerals and one of the finest mechanical watch movements ever produced. The De Ville Co-Axial Chronograph is powered by the OMEGA Co-Axial calibre 9300/9301, the chronograph member of the Co-Axial family. The dial is enhanced by two sub-dials. One, placed at the 9 o’clock position, features the small seconds hand and the other, at 3 o’clock, innovatively includes both the chronograph minute and hour hands for intuitive reading of the elapsed time. 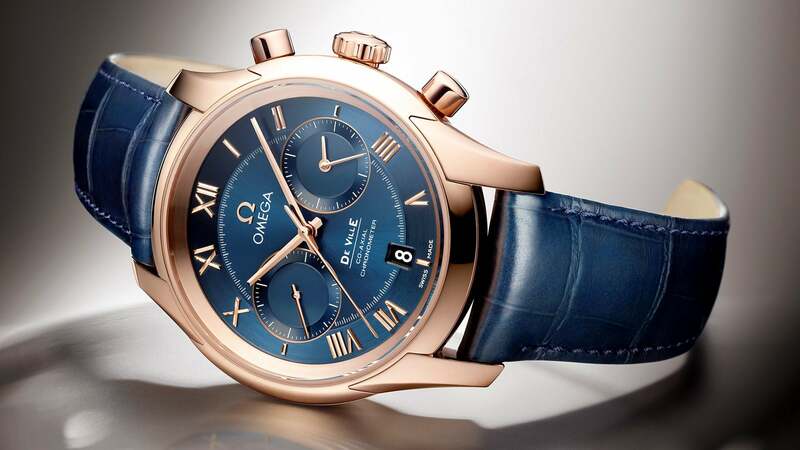 Video description: This video introduces the stunning OMEGA De Ville Chronograph, an effortless fusion of the state-of-the-art technology and finest Swiss watchmaking tradition. 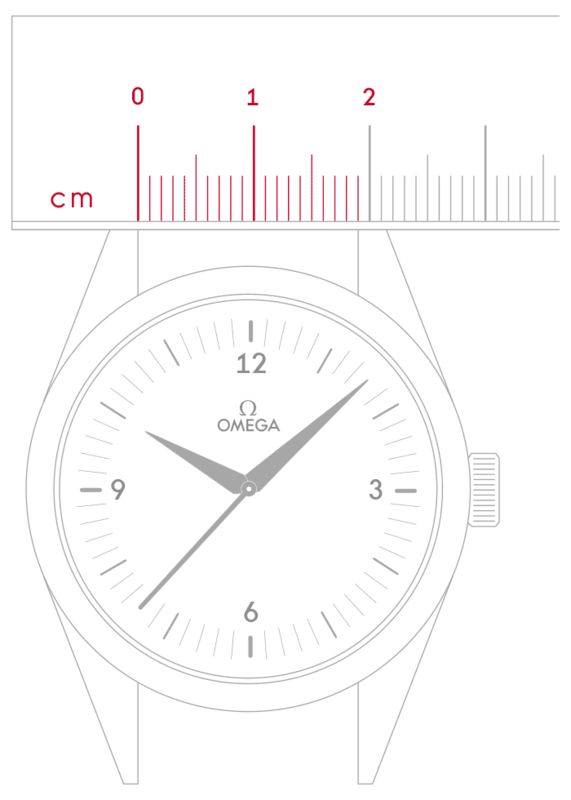 With this prestigious watch, OMEGA stays true to its practice of blending classic design with cutting-edge technology. It is powered by the exclusive Co-Axial calibre 9300/9301, the chronograph movement that generated such an enthusiastic response when it was launched last year. Equipped with a silicon balance spring, the timepiece is delivered with a four-year warranty. 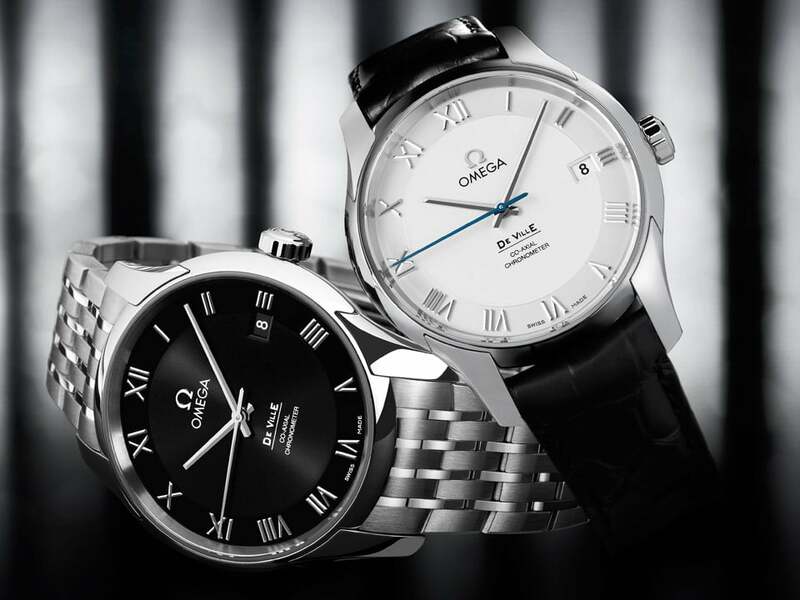 At the forefront of luxury watch design, the OMEGA De Ville was seen as a sensation at Baselword 2012. "...a celebration of classic design and innovative mechanical watchmaking." 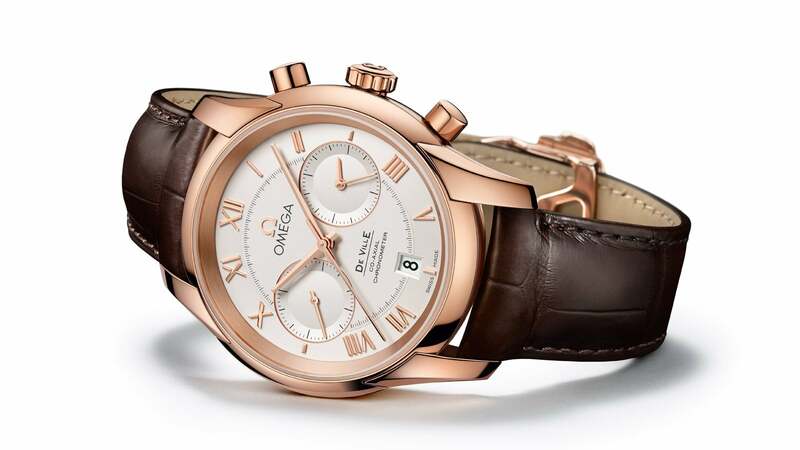 The OMEGA De Ville Co-Axial is also available with an annual calendar function, meaning that the date only needs to be set once a year, on the first of March. It is powered by the OMEGA Co-Axial calibre 8601 and delivered with either a matching bracelet or a black or brown leather strap. The De Ville Co-Axial Annual Calendar wristwatch has month and date apertures at 3 o’clock. The De Ville Hour Vision launched in 2007 marked a return to our roots – we were, after all, the first watch company to produce an industrialized mechanical movement. And every exquisite timepiece in the De Ville Co-Axial Gents’ Collection beautifully bridges our horological heritage and the future of mechanical watchmaking.